This entry was posted on November 14, 2011 by rtcrita. It was filed under Uncategorized and was tagged with cancer patient, crochet hat with flower accent, crochet prayer shawl, crocheted shawl, father, heart bypass, lymphoma, photography, photos, sister. That’s something you are going through! I hope everything will turn out fine. Wishing you all the best for your father and sister! That is very kind of you, and I appreciate your comment so much. I miss blogging and really need it right now. I hope to get back up to speed now that I’ve had time to deal with these issues and know my father and sister are fighting for their health in ways that are positive. Thank you for your well wishes. It means a lot to me. I am so sorry to hear of the struggles your family is going through right now. 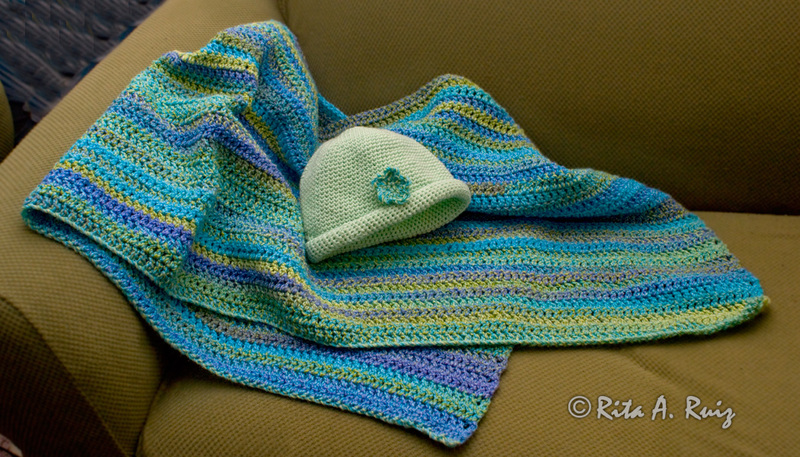 And I couldn’t think of a nicer gift for your sister than the prayer shawl and hat. I never would have thought of making a hat for the reason you did — but it’s perfect. Such a loving gesture, something she really needs, and made with your heart. I will keep you and your family in my thoughts, and I pray for a full recovery. Thank you for sharing this post. very nice and impressive job. You are praying twice while you are crocheting. All done with love. This is indeed a great job.cancer patients hats are specially designed for such patients who have lost hair. This can help to lift their morale and bring confidence in them.